MILLEN, Ga. (AP) — Civil War artifacts from a former prison are set to go on display at Magnolia Springs State Park near Millen. The Georgia Department of Natural Resources says a ribbon-cutting ceremony for the Magnolia Springs History Center is set for Tuesday. The agency says Camp Lawton was built to relieve overcrowding at Andersonville Prison. Archaeologists and students from Georgia Southern University have been excavating the site since 2009. They’ve found items such as a pipe, coins, a ring, buttons, buckles and stockade wall posts. Some of them will be displayed in the new museum and some will stay at the university. Magnolia Springs State Park is five miles north of Millen. 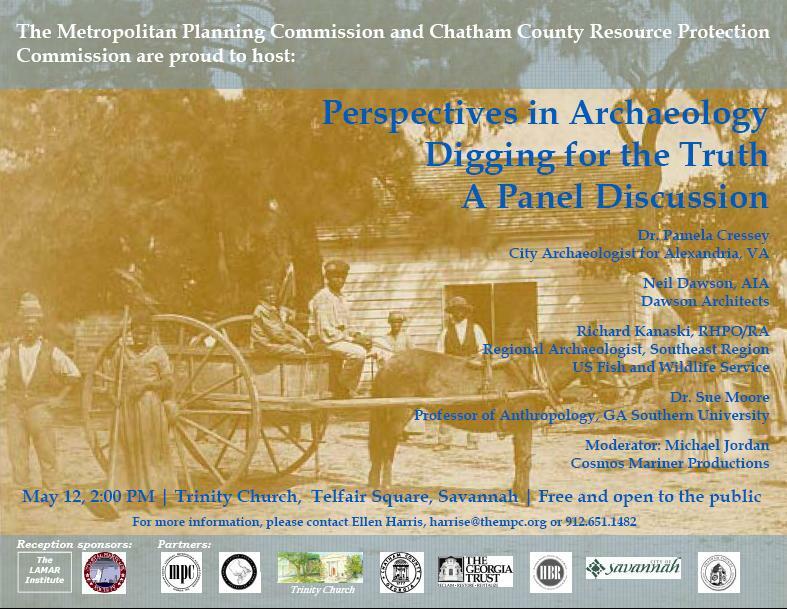 In addition to the museum, visitors can tour original Confederate earthworks, as well as the springs and boardwalk. 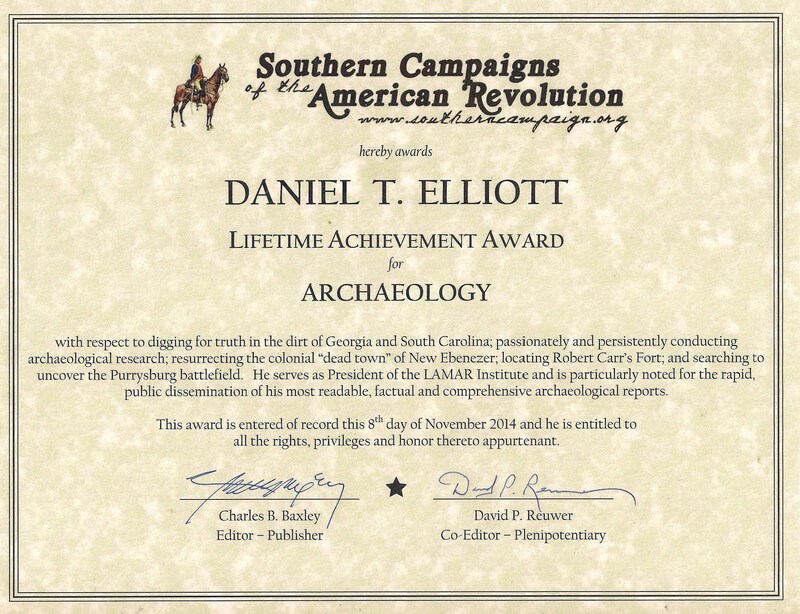 Dan Battle also made the first discoveries of the Confederate guard’s camp, which I think is a MAJOR find too. Congratulations to Dan Battle! Meg, the blonde lady with the red cart, was the boss of the geophysical team, of which I was part back in October 2012. That was about four days of craziness where we covered a huge area, probably the largest acreage of geophysical work ever done in Georgia. Meg did a masterful job in pulling it all together. Congratulations to everyone who played a part in this important discovery! I hope you enjoy the movie. You may also watch the Time Team America discovery on your regular television set via your local PBS affiliate. Just check their schedules for time and dates. Searching for the Camp Lawton prison stockade wall. This post contains the results of my quick internet research on the early history of brass knuckles in America. My curiosity was aroused after watching a television documentary made in 1999 about the Irish in New Orleans. In that documentary, the writer attributed the first use of brass knuckles in America to the Irish (not a direct quote). This evening I did a brief search of several internet sources to determine if this was a valid statement. Also, as an archaeologist I sought to determine if brass knuckles can be accurately dated, since they are occasionally found in archaeological contexts and archaeologists are always eager to identify artifacts that serve as time markers. As expected, searching with Google.com, I met with several websites that tracked brass knuckles back to the Romans, and even the Greeks. The intermediate era, like the past 1500 years or so, were glossed over in these “histories’. The terms “brass knuckle” and “knuckle duster” (and various variants of these two concepts) were cited as early names for these items, along with some vague etymological link to the German language. The earliest use of the term that I was able to locate using Google Books in Europe was in 1862, when The Archaeological Journal, an archaeological publication in the British Isles, published an article about a personal collection of armour that noted, “A pair of gauntlets is described in the next item, of ancient fashion, and with brass knuckles (condolis de latone). Examples are not wanting of representations of gauntlets thus ornamented in monumental portraitures, such as the effigy of John de Montacute in Salisbury Cathedral; he died in 1388.’ In a Computus of the Treasurer of the Dauphin, in 1333, a payment occurs for ‘guantis lattunatis;’—for a pair ‘de caligis de latono,”‘<fcc. These may, however, have been gauntlets wholly of brass, such as those still suspended over the tomb of the Black Prince in Canterbury Cathedral.” (The Archaeological Journal 1862: 163). I then searched Google Books for earlier references in America and restricted my search to the 18th and 19th century. I was surprised to find that the term “brass knuckles” did not appear in a printed book until 1855. A similar search of 18th and 19th century newspapers contained in the archives at Genealogybank.com pushed the earliest reference to “brass knuckles” back to February, 1855. “Mr. Weir offered the following. Resolved, That the Committee on Ordinances beinstructed to report an ordinance prohibiting the carrying or using of instruments called brass knuckles. Mr. Stoy moved to amend by striking out brass knuckles and inserting ‘any kind of concealed weapons,’ which amendment was lost. Mr. Kent moved to amend by making the resolution read, ‘Brass Knuckles, Slung Shot, or other dangerous weapons;’ which amendment was accepted, and the resolution as amended adopted by the following vote…” (New Albany Daily Ledger 1855:2). I signed up to join the Yahoo.com group and examined a series of uploaded photographs of brass, lead and cast iron knuckles dating to the Civil War era. Most of these were posted by Mr. White. They reflect a variety of styles. Thanks to Mr. White and his colleagues for furthering the history of this intriguing weapon type. Civil War Era Knuckles, Courtesy of Daniel White. If White is correct, this would push the begin date for brass knuckles in America back to 1812. If this is so, then why did it take the popular press in America four decades to final document these useful weapons of personal protection? Cleary, the 1855 city ordinance shows that public officials in this wild and wooly Ohio River town saw the need to regulate brass knuckles by 1855, which implies their presence for several years prior. The wording in their ordinance, however, infers a “newness” and relatively unfamiliarity with the term brass knuckles. 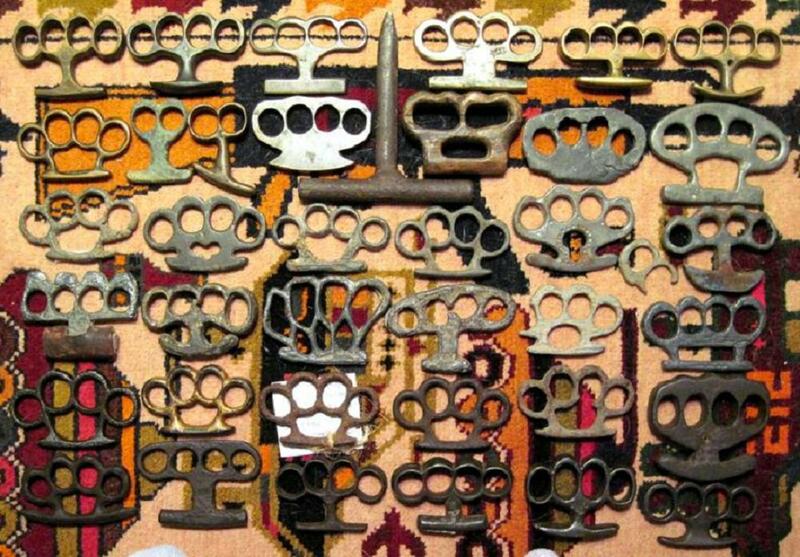 Perhaps brass knuckles had been around for many decades but were considered vulgar items and not suitable for “polite society”, or the printed word. Perhaps they were hovering below the public radar, tucked inside the pockets of the men (and maybe even the women) who were busy populating the American heartland. Can these weapons be traced to the Asians, many of whom were being imported to America to perform manual labor? Or were they brought by Irish laborers from Great Britain? Or possibly both? Was the manufacture of cast iron knuckles an American innovation? And were lead knuckles the first type used in America? Were any used in the War of 1812, or in the American Revolution? Thus far, I have found no references to their use in those earlier wars. Composite weapons that included Brass knuckles, knives, and/or handguns existed in America by the 1860s. Common phrases, such as “knuckle sandwich” “bare knuckles”, and “knucklehead”, may hide clues to this puzzle. By World War I, brass knuckles were a common weapon and effective in the trench warfare that characterized that war. Similarly, brass knuckles continued to be used as weapons in World War II. If these weapons were official weapons in the American Civil War, documentary evidence for it is elusive. Collector reports demonstrate that brass, lead or cast iron knuckles are widespread (albeit relatively rare) on battlegrounds in the South. Were these personal weapons sold by sutlers in the Army camps? Which examples were sand cast, possibly by the soldiers themselves, and which were cast at furnaces or forges? Were the lead examples made from melted bullets? Were they used by both Union and Confederate soldiers? The present contextual information for these battlefield relics do not adequately answer these questions. My own archaeological research over the past 35 years has yielded only one pair of knuckles. This was a broken example made from cast iron that I recovered from a 19th-20th century house (Alma Boyd House) on the Sumter National Forest in Abbeville County, South Carolina. It came from surface context, so its age was unknown. 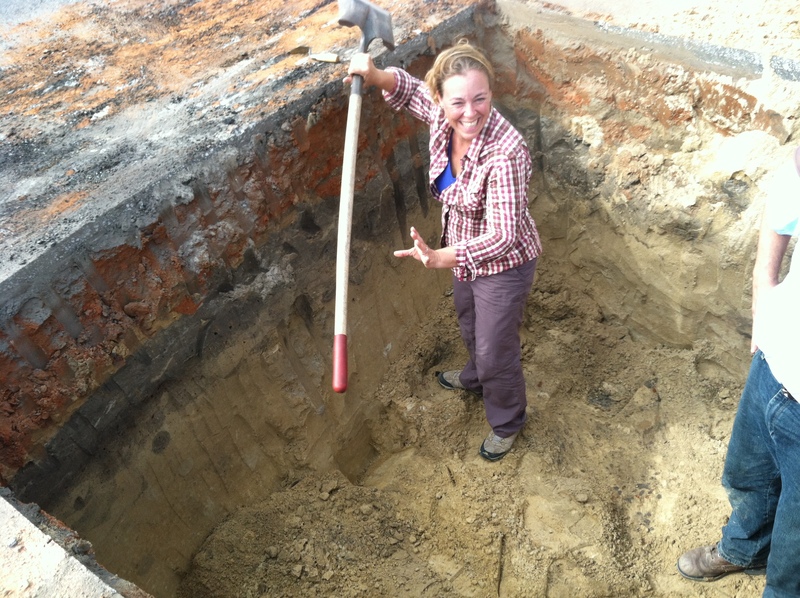 Any other archaeologists who have encountered this tool type, please let me know. Clearly, more research is needed, and I hope to report back. 1855 Proceedings of the Council. New Albany Daily Ledger, February 7, 1855:2. Original Documents. The Armour and Arms Belonging to Henry Bowet, Archbishop of York, Deceased in 1423, from the Roll of his Executors’ Accounts. The Archaeological Journal 19:159-163. New Old Fort Jackson Artifacts Discovered | WSAV TV. 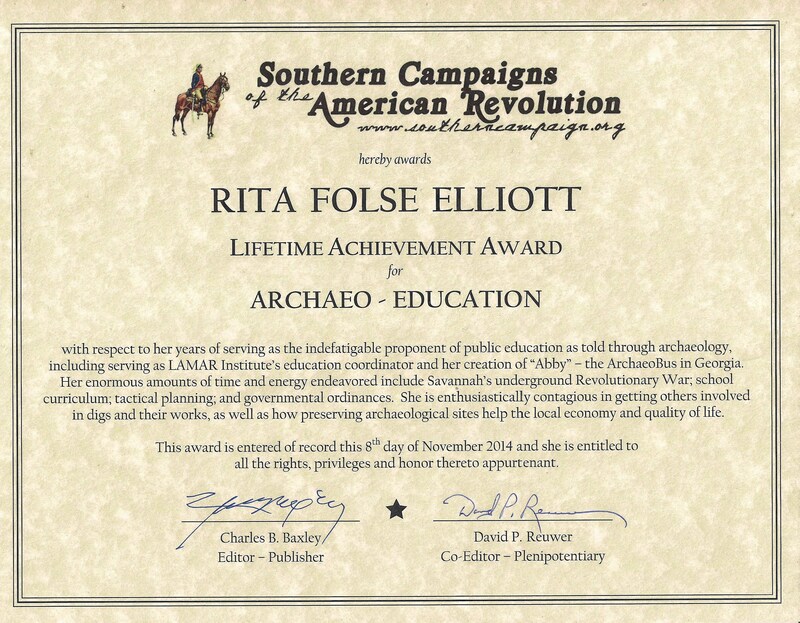 Click link above for TV news story on Rita Elliott’s excavations at Fort Jackson, Savannah, Georgia. She found some cool stuff, artillery related, not shown in the news story. Little Danny’s Camp Lawton Discoveries! My pretty picture made it into the print version of this article, but so so sadly, not in the online edition. I need to check my cell phone more often. Oh, and the site was actually discovered by Daniel Battle, who is missed entirely by the press. But that’s O.K. because I specifically told him not to go over there. Good think he doesn’t listen! Historian Works to Save Savannah Area Battlefield | WSAV TV. LAMAR Institute Publication Series, Report Number 162. GPR Delineation and Metal Detection Reconnaissance of Portions of Camp Lawton, Jenkins County, Georgia. By Daniel T. Elliott and Daniel E. Battle, 2010 (7 MB). Plantation on the north end of Ossabaw Island. by December 31, 2010. The balance due will be collected at the workshop. scholars on a first-come, first-serve basis. For More Information Contact: dantelliott at gmail.com. GPR Map of Camp Lawton’s Stockade Southwest Corner, 2009, The LAMAR Institute, Inc.
(MILLEN, GA., July 31, 2010; UPDATE October 6, 2012) The LAMAR Institute, Inc. participated in a search for Camp Lawton, a military prison built north of Millen, Georgia by the Confederates in late 1864 to house more than 30,000 U.S. Army prisoners. The search for the prison began in December, 2009 with a Ground Penetrating Radar (GPR) survey for the southwestern corner of the prison stockade at Magnolia Springs State Park. After getting a feel of the topography and the likely layout of the prison site as generally conceived, some discrepancy in the only available historical maps became evident to the research team. The two maps available for reference seemed less accurate than previously thought. A minimally-invasive evaluation was performed with a metal detector . This tool, augmented along with GPR data, was used to get a feel of whatever prison “footprint” might still be present. 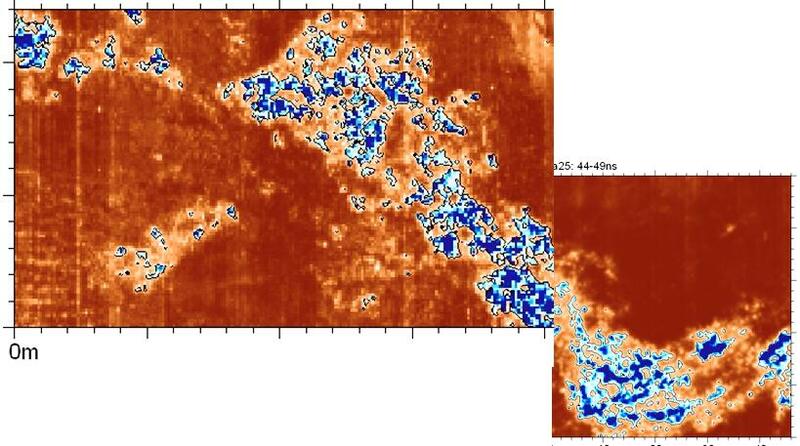 Promising areas were immediately identified. One particular area, however, clearly stood out as likely being inside the prison and possibly adjacent to a stockade wall boundary, The discoveries were made south of a small creek documented as running directly through the prison yard. Armed with this new evidence, a quick reassessment of the prison layout was theorized. The long held belief, that the larger portion of the prison site was now the location of the Bo Ginn Aquarium facility and former U.S. Fish and Wildlife Services fish hatchery, came in question. An unexplored wooded area just west of this facility was now suspected to contain a portion of the Civil War prison. A quick reconnaissance of the wooded tract was made. Our crew believed that this property was within the Magnolia Springs State Park property. This particular tract had changed hands several times in recent years and was currently Federally-owned property under the control of the U.S. Fish and Wildlife Service. As it turned out, this misunderstanding yielded huge dividends in unmasking the ruins of Camp Lawton, After a very limited and quick evaluation by Georgia Southern University (GSU) anthropologists, the true site of the prison was confirmed. The brick ruins of a documented brick oven complex built fot the use of the prison., was tentatively identified. If this is indeed one of the brick ovens, and the placement of this feature on historical maps was accurate, then the location of the prison shifts further to the west of what was previously theorized. Further testing by GSU confirmed that this was the correct prison site location. Camp Lawton, once thought to be an insignificant Civil War site in our state, now appears to offer a great opportunity for understanding the daily life of Prisoners of War during the War Between the States. Here is video from October 4, 2012 showing the deep trench and palisade post remnant along the southern stockade wall at Camp Lawton. Unearthed by Time Team America–at the location where GPR survey by The LAMAR Institute’s geophysical team indicated a large, deep soil disturbance most likely to be Camp Lawton. Other video footage showing the feature is posted on youtube.com. WASHINGTON – The LAMAR Institute, Inc. has received a grant of $40,000 from the National Park Service’s American Battlefield Protection Program (ABPP) to complete the first archeological survey and investigation of the Battle of Monteith Swamp site in Georgia. This grant is one of 25 National Park Service grants totaling $1,246,273 to preserve and protect significant battle sites from all wars fought on American soil. Funded projects preserve battlefields from the Colonial-Indian Wars through World War II and include site mapping (GPS/GIS data collection), archeological studies, National Register of Historic Places nominations, preservation and management plans. Federal, state, local, and Tribal governments, nonprofit organizations, and educational institutions are eligible for National Park Service battlefield grants which are awarded annually. Since 1996 more than $12 million has been awarded by ABPP to help preserve significant historic battlefields associated with wars on American soil. Additional information is online at http://www.nps.gov/history/hps/abpp. To find out more about how the National Park Service helps communities with historic preservation and recreation projects please visit http://www.nps.gov/communities. Editors Note: For additional information about this project, please contact Daniel Elliott, LAMAR Institute, Inc., at (706)341-7796 or dantelliott@windstream.net.